With a smart COREgravel driveway such as the one we have recently installed at this Cheshire home you can get a fantastic updated look for the front of your house - this one uses Marshalls Drivesett kerbs. To complete the transformation fantastic new turf supplied by Allturf Ltd and fencing built to last by Jacksons Fencing.  www.creativegardensanddriveways.co.uk have been updating gardens and driveways across Cheshire for over ten years. Call on 0161 439 4858 to organise a free visit to your home today.